China suffered a shock 1-0 defeat to Thailand on Thursday in Fabio Cannavaro's first match in charge. Ranked 43 places below their opponents in FIFA's standings, Thailand secured victory in their opening China Cup match thanks to a 33rd-minute goal from Chanathip Songkrasin. 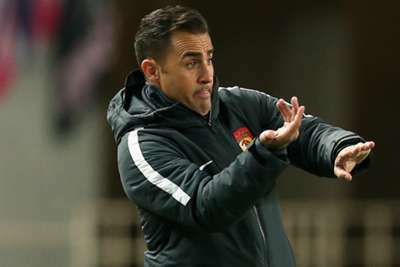 The result prompted an angry backlash from China fans, with Cannavaro's appointment last week having already caused controversy. The World Cup-winning former Italy star, who has been head coach of Super League side Guangzhou Evergrande since 2017, was named as Marcello Lippi's replacement for the China Cup tournament. Speaking last week, the 45-year-old insisted: "These two matches will not decide whether I will continue to act as the head coach of China. "I am here not to be assessed. I have nothing to show now as I can change nothing during four or five days with the national team. "Some people said I am too young and lack experience, but I had a career as an Italian national player for 15 years, I played six finals with Italy and won four of them. "I know far more about major international tournaments than those who have criticised me."